Several cultures around the world were tattooing long before there were electric tattoo machines. Famous Polynesian tribal tattoo motifs are called Tatau, Thailand’s religious script tattoos go by Sak Yant and tattooing by hand in Japan is known as Tebori. How do you say tattoo/s in Indonesian? Tato (and Tatu and Tatau) but, probably thanks to the internet, most people seem to use the English spelling. The old Indonesian hand tapping tattoo tradition comes from shamans in the Mentawai Islands and people with ancestry in Kalimantan, the Indonesian region of Borneo (about one quarter of the island belongs to Malaysia and Brunei). 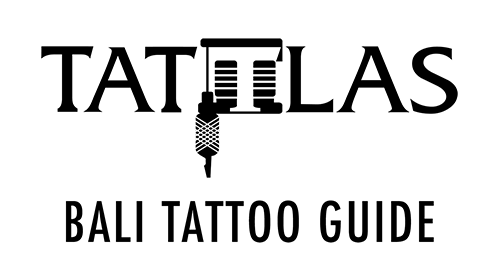 How do you say “tattoo” in Indonesian tribal languages? 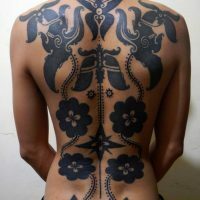 Although similar, traditional Asian tattooing techniques are each a distinct practice with different tools, designs and significance. As a group, these are called manual tattoo techniques. The instruments are predominantly sticks carved from wood and few regional tattooing traditions utilize bamboo. you can call them bamboo tattoos if you want to. Noe Noe Shadow making a traditional Thai tattoo in Bali, Indonesia. 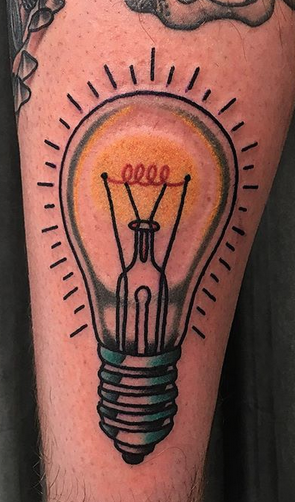 What is different about tattooing without a machine? Instead of using a modern electric tattoo machine, most techniques for tattooing by hand utilize a wood shaft with a tattooing needle affixed to the end. Depending on which tattooing method is used, the end result will have some distinguishing characteristics, but most people can’t recognize the subtle differences. Long ago, traditional tattooing instruments had sharp tips or rakes made of bamboo splinters or animal bones. 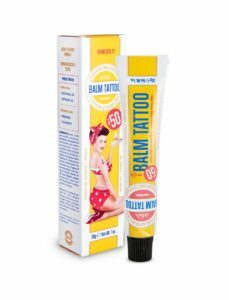 Now most island-style tattoo tools also employ single-use disposable tattoo needles made of metal. Bamboo is not actually used to pierce the skin and deliver ink, so the unique aspects of getting “bamboo tattoos” are mostly mechanical and experiential. These two traditional tattooing methods are completely different. Hand tapping is a method of tattooing originating from Borneo and the Mentawaii Islands. This is a style of tattoo that is completely unique in design, as it is created using wooden tapping sticks. This is done with the assistance of a stretcher, who stretches the skin for this technique. People will describe the hand tapping tattoo experience as a more gentle and meditative experience with only the sound of the tapping sticks. If you’re planning a first visit to southern Bali, you might be surprised by the high density of tattoo shops here. And while the majority of professional tattoo artists use electric machines, there are plenty of places to get ‘bamboo tattoos’ in Bali too. They are still a tiny minority in an industry dominated by tattooers with electric machines. And they can’t all claim local heritage and they don’t all tout legit education and experience in the field. Tattooing since 2005, Sono specializes in 100% unique custom tattoos made by hand tapping. He charges IDR 1,500,000 per hour for hand poking or hand tapping. He favors dot work and line work to make geometric tattoos, mandalas and other original designs with Indonesian motifs – batik patterns, spiritual and religious symbolism and ancient Javanese script. 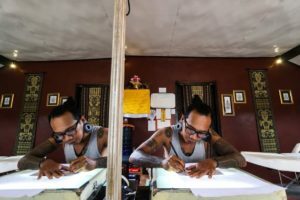 Shop owner, professional tattoo artist, piercer and body modification aficionado, Albar Tikam was one of the first tattoo artists in Bali to give foreigners a chance to experience traditional Indonesian tattooing. 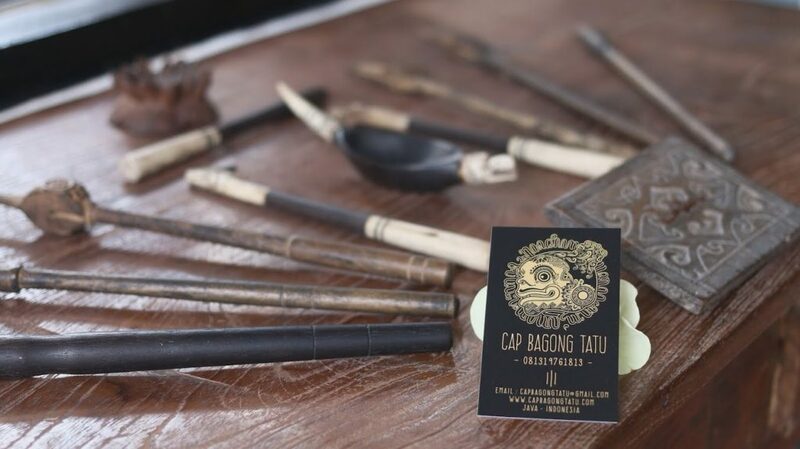 Although it’s no longer the only good place to get a bamboo tattoo in Bali, his studio Suku Suku Tatau is well established and Albar is respected as an expert authority on Indonesian body art history, culture and how-to. Hand tapping starts at IDR 2,500,000 per hour; hand poking starts at IDR 1,500,000 per hour. 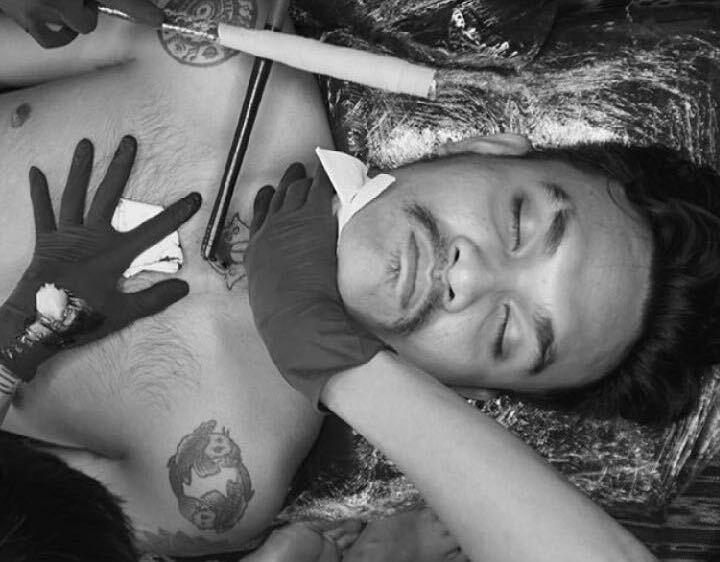 Tattooing in Bali for two decades, no question Unyil is legit af. He is a Bali tattoo legend with hundreds (thousands?) of drawings and original tattoos of Balinese Hindu spirits on his Instagram (30K followers, no big deal). But did you know he also does hand poking with handmade tools? Well, now you do. Don’t be intimidated – he’s just a (really talented) regular guy. If you’re interested in getting a handmade tattoo, choose an artist with training and experience. Don’t expect every tattoo studio in Bali to offer hand-made tattoos. They don’t. 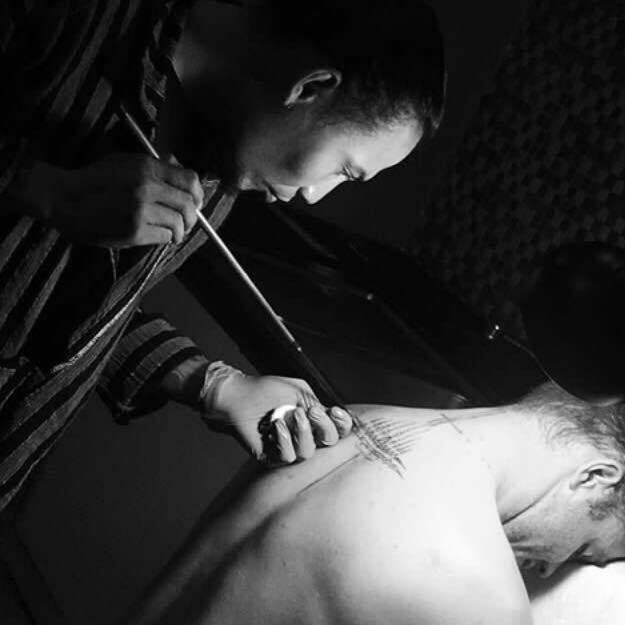 Many shops which offer bamboo tattooing actually don’t have a specialist manual tattooer on staff, and bring one in from another studio when there are interested customers. 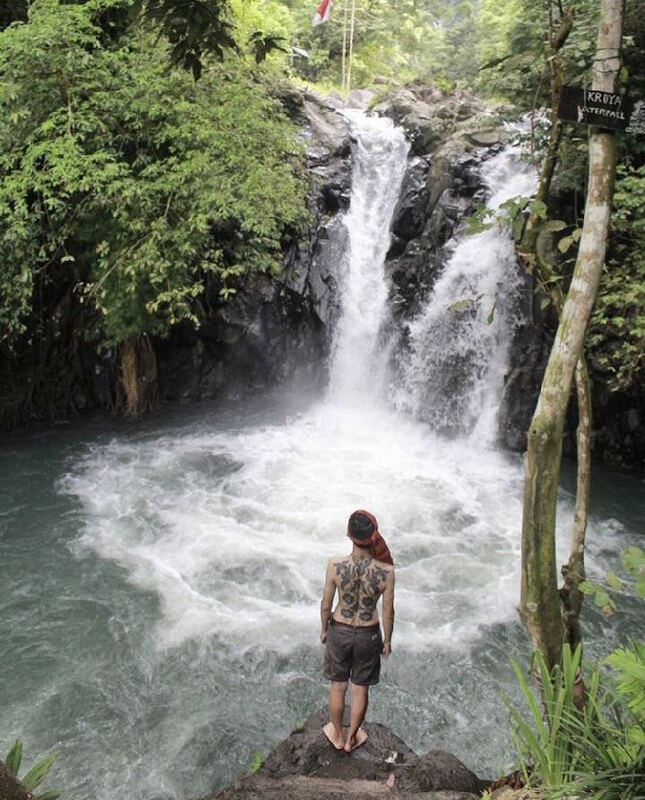 How much does it cost to get a bamboo tattoo in Bali? Right now a competitive price for hand tapping and hand poking in Ubud, Legian and Canggu is around IDR 1,500,000 per hour. Need some help? Ask Ningsi now. Great idea. Join TATTLAS now as a tattoo studio or artist and add your artwork for free. If you like this post, please share it or leave a comment. As always, we appreciate your feedback and want to know if there’s anything we could improve upon.